5 Steps To Get You To The Polls! Read More "Elections are overwhelming, but not as overwhelming as bad public officials!" The race for our next presidential candidates has been nothing short of entertaining this year, to say the least. 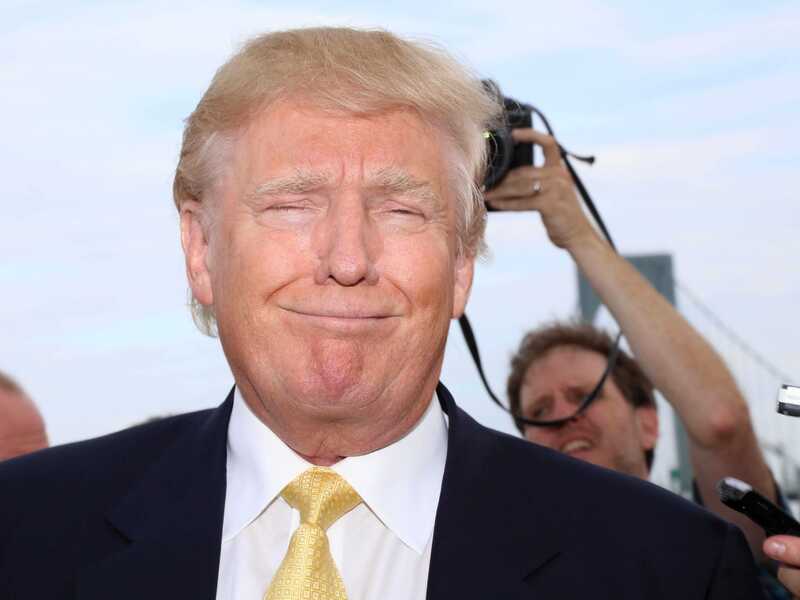 The Republican Party’s posterchild, Donald J. Trump, is currently the frontrunner in polls. When Trump announced his presidential campaign, our nation couldn’t help but look incredulously at the millionaire mogul who’s already built his successful brand through business, franchises and TV networks. Despite bluntness, controversial statements and even discrepancies in political speeches, Trump has garnered the support of thousands of Republicans and the praise of being one of the most candid, or “authentic” candidates—but how and why? Can a political candidate, or anyone for the matter, be authentic? In short, no. Or at least this is what Andrew Potter argues, author of The Authenticity Hoax, a 2010 book that criticizes the modern individual’s search for an ultimately unattainable “authentic” self. In his chapter titled “Vote for me, I’m Authentic” Potter delves into the issue of voter apathy in democratic societies and how political campaigning and the media affect this. Most of us are used to manufactured speeches and the all-talk-no-results perception of politicians—and there’s been a trend of voter apathy, or the choice to not vote, in developed countries. Trumps political extremism manufactures a perception of authenticity which could motivate U.S. citizens to vote who may consider themselves apathetic. He delivers seemingly uncensored and extemporaneous speeches—however questionable they may be—that echo his results-oriented business background. Why does he have a larger following than, say, Carly Fiorina, former CEO of HP and businesswoman alike? Agenda-setting theory, anyone? This communication theory says that the media manipulates what the public thinks is important. Basically, whatever stories have the most coverage in the news become the “important” issues—the flavor of the week. Trump, for a variety of reasons, has been covered practically every day by some type of media outlet since he announced his participation in the race. You probably have read a story or two about Trump, even if you didn’t want to. In a recent example of agenda setting not involving Trump—who won the first Democratic debate? Major media reports that Hillary Clinton was the clear winner when, according to online polls, Bernie Sanders was voted the winner by viewers. Is this a disparity of choice or opinion? Potter writes, “The media’s pundit class feeds this gladiatorial conception of political debates by treating them as a boxing match, with the post-debate analysis invariably focused on who scored what points, and whether any of the candidates was able to strike the mythical “knockout blow” (p. 172). While the media like to sensationalize, there are other factors involving what the media cover. In short, the media, across multiple outlets, can report that Hillary Clinton won when voters disagree. How do we evaluate the ways we receive our news? Like all political candidates, Trump is a brand. Donald Trump is a symbol, a message and a vehicle for his message. Trump is a business icon and has built an empire over many years, but why is Trump running for president, too? Political IMC is integral to the success or failure of a candidate’s campaign—establishing ethos, effective marketing, political advertising, event planning and speech writing are just some components that go into the branding of a politician. “‘’Some people think this will be good for my brand,’ Trump concluded, as deep as he probes. ‘I think it’s irrelevant for my brand.’” This blasé quote came from Trump himself in a feature written by Mark Leibovich in the New York Times Magazine. I disagree with Mr. Trump. For public figures, every extension of oneself, every action, participation, speech, statement, declaration affects one’s brand. One’s brand is the essence and the story of who they are. While Trump will probably only gain revenue and face time with his campaign, to say that it doesn’t affect his brand is nonsense. Whether it’s good or bad is a value judgment, but it’s fair to say that is not now, Trump’s brand will see the effects of this year’s political campaign. 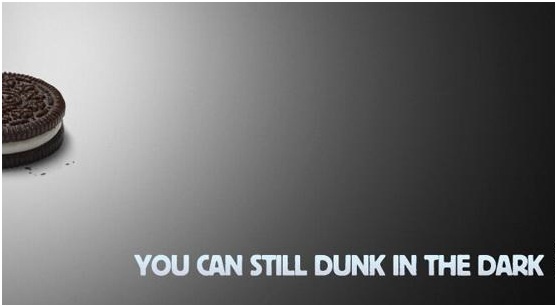 Brands – The Biggest Fans in the Game. According to ESPN.com, 49 percent of Americans are football fans…but just in case you’re not among them, football season can also mean a whole new ball game in the world of advertising. Companies will capitalize on anything they can and football season is no exception. Brands launch new campaigns both in preparation for, and during the season, in order to take advantage of the huge draw from football audiences. By gearing their products and services towards this huge target market, companies can add a new segment to their customer base regardless of whether they are directly related to football or not. Advertisement strategies will range from direct involvement through sponsoring the NFL to simply trying to profit off the hype. Football fans who are considering the Bojangles 20 piece jumbo tailgate special now have extra incentive to make Bojangles their game day choice. Bojangles is embracing football season with their second year of offering up football shaped Bojangles biscuits. These tasty bites are available for a limited time until September 26th. While food and football go hand in hand, make-up is a less traditional, yet still relevant way to show your team spirit. 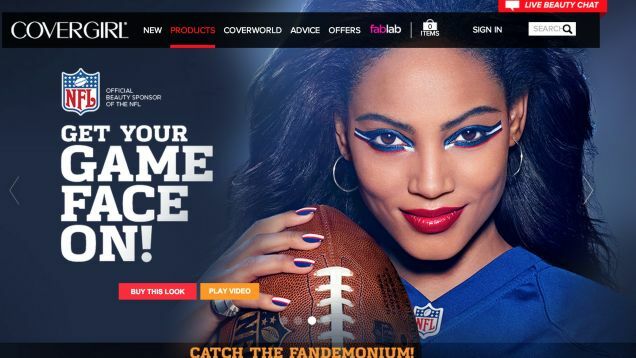 CoverGirl’s 2014 campaign featured a series of makeup and nail designs that represented each of the NFL teams colors and mascots. Inviting women to “Get your Gameface on” CoverGirl found an effective way to include their target audience, possibly otherwise ignored, in the team spirit so many Americans feel during the pro football season. This campaign is a prime example of the diversity of brands using football as a marketing technique, proving even CoverGirl is more than just a pretty face. Some people welcome football season in for the games, while others may find creative brand efforts to be the real source of entertainment. What’s your favorite football related campaign?